Trutz Haase has been an independent Social & Economic Consultant since 1995. 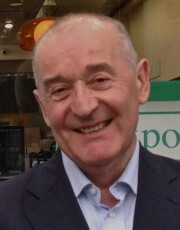 Previously, he worked for the Northern Ireland Economic Research Centre (Belfast), the Combat Poverty Agency (Dublin) and the Educational Research Centre at St. Patrick’s College (Dublin). 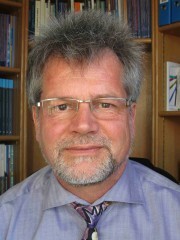 Throughout his work as a consultant, Mr. Haase has been responsible for the design and implementation of monitoring and evaluation frameworks for government programmes aimed at alleviating poverty, as well as developing resource allocation models to target social expenditure on the basis of objective need criteria. In this capacity, he has worked for a number of Irish Government Departments, Local Authorities and non-governmental agencies. He is best known for his work on the development of the Pobal HP Deprivation Index which is used extensively throughout Government Departments and State Agencies. Work outside the Republic of Ireland includes studies for the Northern Ireland Statistics & Research Agency (NISRA), Special EU Programmes Body (SEUPB), International Fund for Ireland (IFI), OECD and the European Monitoring Centre for Drugs and Drug Addiction (EMCDDA). In many instances, Trutz Haase is working in association with Dr. Jonathan Pratschke and Dr. Kieran McKeown. This collaboration has resulted in over 50 joint studies to date. Jonathan Pratschke is an Irish citizen who currently lives and works in Italy. He graduated in 1994 from Cambridge University with an Honours degree in Social and Political Science and has an MA (with distinction) in Social Science Data Analysis at the University of Essex. He completed his PhD in Sociology at Trinity College Dublin with a thesis entitled “The responses of hospital nurses in Ireland and Southern Italy to the rationalisation of public health care”, based on extensive field research in a number of Irish and Italian hospitals. He has been working at the University of Salerno in Italy since 2001 (with tenure from 2005) and is currently a member of the Department of Economics and Statistics. Alongside his academic work, he maintains a strong research commitment, working as research consultant for Irish and Italian Government Departments and Agencies. Dr. Pratschke has considerable experience in the analysis of quantitative data relating to individuals, families, communities and sub-groups of the population using sample-based, institutional and administrative data sources. He is an expert in statistical modelling, including Structural Equation Modelling, Multilevel Modelling and non-additive and non-linear extensions to the Classical Linear Regression Model. He has extensive experience in the construction of Geographical Information Systems (GIS) and relational databases as well as the programming and deployment of open source software for the collection of standardised data using CATI (by telephone), CAWI (web) and CAPI (face-to-face) interviewing. He is an advanced user of the following software packages: SPSS, STATA, EQS, MLwiN, ArcGIS, MapInfo, Access, PostgreSQL, Deltagraph, MS Powerpoint, MS Access. Dr. Kieran McKeown is a social and economic research consultant specialising in the design of large-scale studies to assess social need and to evaluate and audit the effectiveness of programmes and services. He has carried out more than 100 research projects addressing social and economic issues for a diverse range of Government Departments, statutory agencies and voluntary bodies. Over the past decade, his research has focused, in particular, on the needs of children, families and neighbourhoods. 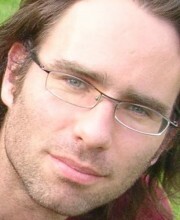 In the area of mental health, he has carried out a range of epidemiological studies on the mental health needs of children in different parts of Ireland, evaluated the effectiveness of mental health interventions and designed a randomised control trial to test the effectiveness of a mental health programme for children. He carried out research on the prevalence of special education needs among children in order to assist the National Council on Special Education in the preparation of its implementation plan, as well as acting as research advisor to many organisations, including the Family Support Agency. During 2009/10 he has been the co-ordinator of the National Audit of End-of-Life Care in Hospitals in Ireland. During 2013/14 Dr Kieran McKeown was the co-ordinator of a major evaluation study on the National Early Years Access Initiative (NEYAI). Feline Engling joined the team in October 2009. She is a German citizen and currently lives and works in Lisbon, Portugal. She studied at the University of Osnabrück, Germany, and the Catholic University Lisbon, Portugal, from which she graduated in International Social Sciences (First Class Honours). She holds a Master’s Degree (with Distinction) in International Relations from King’s College, London, where she wrote her MA thesis on ‘Migration and Security: An Examination of the Impact of Immigration on National Security Issues in Southern Europe’. During 2016, Feline worked for the European Monitoring Centre for Drugs and Drug Addiction (EMCDDA) in Lisbon, Portugal. Feline’s research interests include international comparative politics, migration policy, and social inclusion. 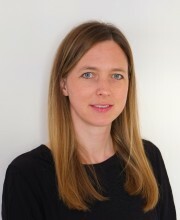 She has strong quantitative skills and has recently attended the Essex Summer School in Social Science Data Analysis.